It may be summer vacation, but teachers and students still got a tip of the hat on Monday, as Apple announced changes to its iTunes U system. 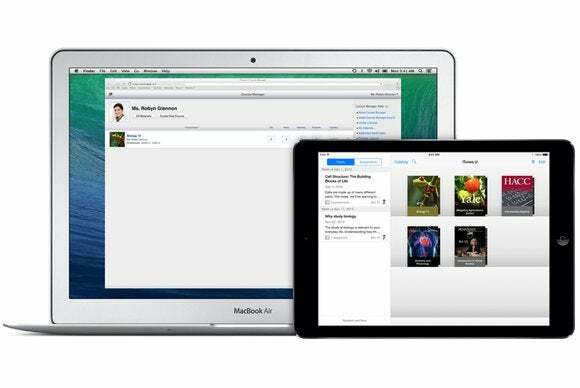 The improvements come as part of the existing iTunes U app, and offer a host of new features—most notably, the ability for teachers to create, edit, and manage courses right from the iPad. Using those new app enhancements, which roll out next week on July 8, teachers can add content to courses from other Apple apps like iWork and iBooks Author, as well as from third-party educational apps that are available for the iPad. They’ll also be able to use the iPad’s camera to incorporate photos and videos into their materials. Previously these capabilities were only available via the Web. Lest you think the only benefits are for teachers, the updates for iTunes U also add some features for students. Those enrolled in private iTunes U courses can now collaborate with classmates and educators through the use of Discussions, forums where students can participate in conversations and even set up push notifications for new topics or replies. Teachers can moderate and participate in those forums as well. iTunes U courses can be created in 69 countries, and courses can be made available in 155 countries at present. The app is available for free, from the App Store, for iPhone, iPad, and iPod touch.